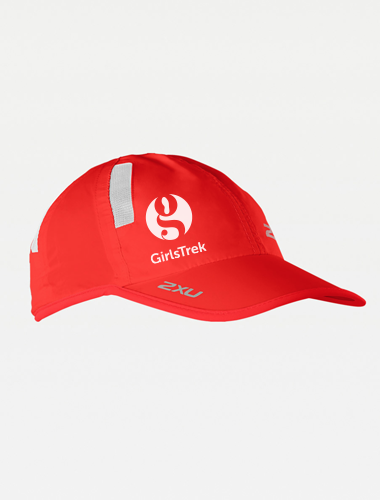 The GirlsTrek 2XU Run Cap is incredibly breathable and light weight to keep the wearer cool while on the move. An adjustable strap offers a premium fit and comfort, while side vents provide maximum air flow and excellent UV protection. 100% nylon.